It’s hard to believe that summer is already upon us and we know it sure gets hot around the Northern Virginia area. This summer, while it’s important to stay hydrated, think carefully when you choose your summer beverage. We know it’s tempting to grab a cold, sweet iced drink but some drinks can increase your risk of tooth decay. Water is the best drink to keep you hydrated over the summer months. Keep your mouth moist by drinking water throughout the day. This helps wash away plaque-causing bacteria and can even improve your breath. 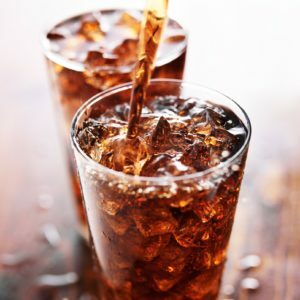 Reduce contact of sweet and acidic drinks with your teeth by using a straw and finishing the drink quickly, instead of sipping over a long period of time. Skip the sweet and bubble teas. Instead choose regular unsweetened Tea which contains compounds that suppress bacteria, slowing down tooth decay and gum disease. Be mindful of drinking too much tea beacuase it can stain your teeth. At Premier Dental Care, our goal for each and every one of our patients is a beautiful, healthy smile. We know that taking proper care of your teeth and practicing good oral hygiene at home can help you maintain your optimal dental health. If you have any questions, please don’t hesitate to contact our office.